I’ve always loved Chinese New Year – it’s pretty much the only Chinese cultural tradition that’s been kept in my family. I love the colours, the decorations, lion dances and food, plus there’s always those red packets full of money. It’s all so good! There are lots of superstitions and traditions that come with Chinese New Year; bringing friends and family oranges for luck and prosperity, wearing new clothes etc. One I always remember is having to have new pyjamas to sleep in the night before. Even now, I always make sure I have a new pair every year! This year I thought I’d make my own! 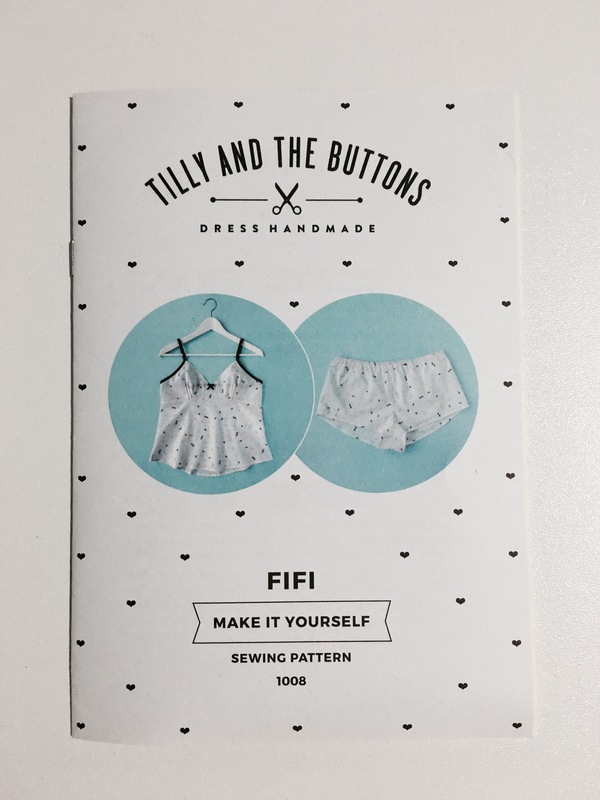 I decided to make the Fifi pyjamas from Tilly and the Buttons – I’ve had this pattern for a while but never go round to making it! The Fifi set includes a bias cut camisole and little shorts. I made mine out of a lovely yellow floral cotton that was gifted by Faye at Studio Jepson – her Etsy store is full of fabulous cotton prints if you’re looking for some! So the pattern is looked pretty simple when I flipped through the instruction booklet. I don’t do a lot of bias work so I was a bit worried about it though. Plus there’s all those French seams! It actually was very easy to make but that didn’t stop me making loads of rookie mistakes! I accidentally sewed the two front and two back legs together instead of left and right, I missed the step needed to finish the front bodice edge and I sewed the wrong sides together when I was making the bias binding… #sewingfails! It didn’t help that I made it late one evening whilst watching Sherlock… I think I wasn’t paying enough attention! I’ve got another piece of cotton lawn that I think would make a perfect Fifi – it’s a fun turquoise print. I can definitely see myself making many more Fifis in the years to come! Thanks! I think that’s the case for a lot of people! I have a lot of years old sleepwear that really need updating. But it’s lovely to be able to wear something beautiful to sleep in – very luxurious!! Your version has really sold me on this pattern! It’s a fun make – worth getting in my opinion! It was surprisingly quick to sew up as well – I think I might make them as gifts in future! Have been hunting for the perfect PJ/nightie pattern. This is great.